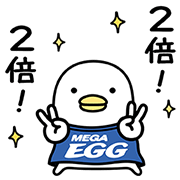 http://www.line-stickers.com/ – MEGA EGG × Noisy Chicken Line Sticker | The beloved Noisy Chicken teams up with the MEGA EGG fiber optics Denki Wari plan in this unbeatable sticker combo. We’re giving these away in celebration of the Denki Wari plan’s first year of service! 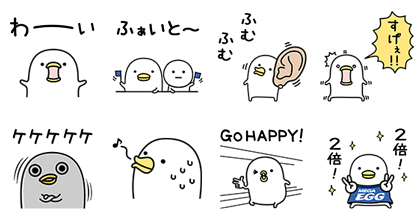 Double your communication with these cute stickers on your side! That’s right: double! Available till June 21, 2017.